Cheryl Downs, FCRTA Community Service Chairperson, presents a replica check in the amount of $164,898.72 for the 7,448 volunteer hours (with a rate of $22.14/hour) that members of the Fulton County Retired Teachers Association performed in 2014. 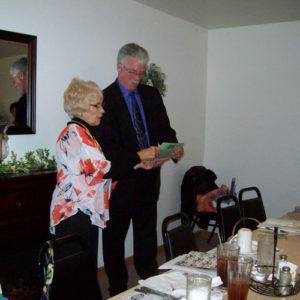 The check was presented to Mayor Mark Smiley. 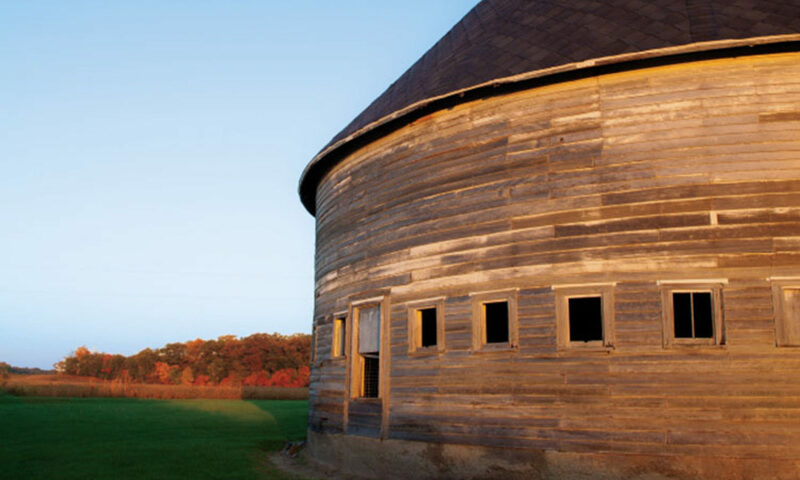 The volunteer hours represented 5,159 hours towards youth activities and 2,299 hours for other activities. 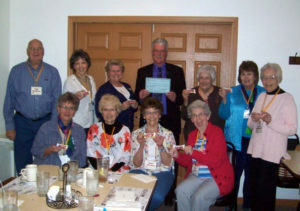 Fulton County Retired Teachers Association members who reported volunteer hours were rewarded with “Payday” candy bars. Members include: (seated left to right) Katie McCarter, Cheryl Downs, Ilene Howard, and Kay Horn; (standing left to right) Phil McCarter, Linda Wade, Betty Martens, Mayor Mark Smiley, Marge Hartman, Kathy Christman, and Phyllis Whitmore. 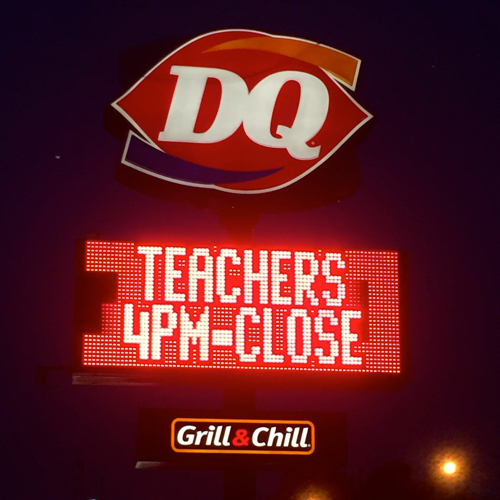 The Fulton County Retired Teachers Association works with the local Dairy Queen restaurant to raise money for scholarships and for the IRTA “A Hand Up” program. 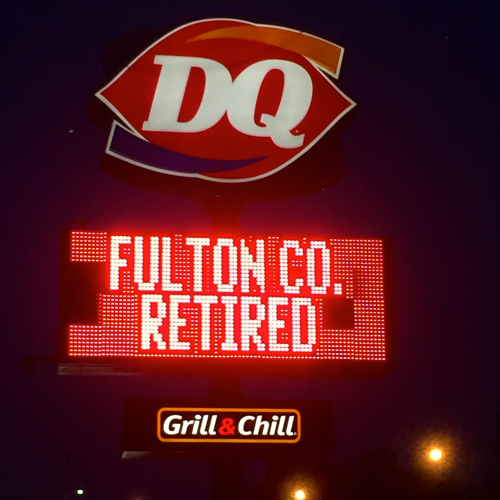 FCRTA wishes to thank DQ for all of their past and continued support.